Start by making the syrup. Poach the pear in 200ml water with the sugar and vanilla pod. Infuse for 15 minutes, strain through a muslin cloth. 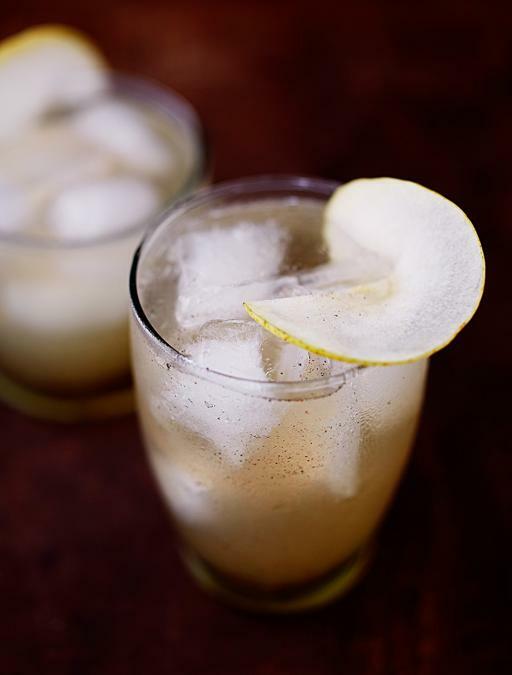 In a cocktail shaker, combine the vodka, lemon juice and 30ml of the pear and vanilla syrup. Shake well and strain into a glass of ice. Garnish with a thin slice of pear.